World Wrestling Entertainment is set to return with WWE 2K19 this October, boasting a huge playable roster with over 180 wrestlers to choose from. Wrasslin’ fans of all ages will be able to choose their favourites and style their own character after them by choosing their own entrance music, actions and signature moves. 2K has revealed a bunch of new names for the roster over the last few weeks, including some legendary wrestlers, such as introducing Ted DiBiase who has so far only been available as a manager in previous games, as well as introducing classic stars like Booker T and Scott Hall; Razor Ramon was one of my favourites, so I’m personally very excited to see him in WWE 2K19. 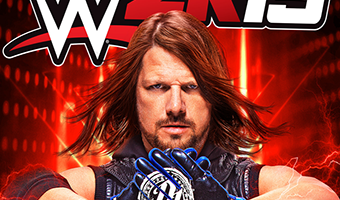 AJ Styles is also this year’s box art star and the headline act on the new roster. Showcase Mode will be returning in WWE 2K19, this time focusing on Daniel Bryan and his feuds with The Miz. There’s also a bunch of new modes coming to WWE 2K19, such as the Million Dollar Challenge … [Read more...] about WWE 2K19: Release date, pre-order, gameplay, AJ Styles and more.